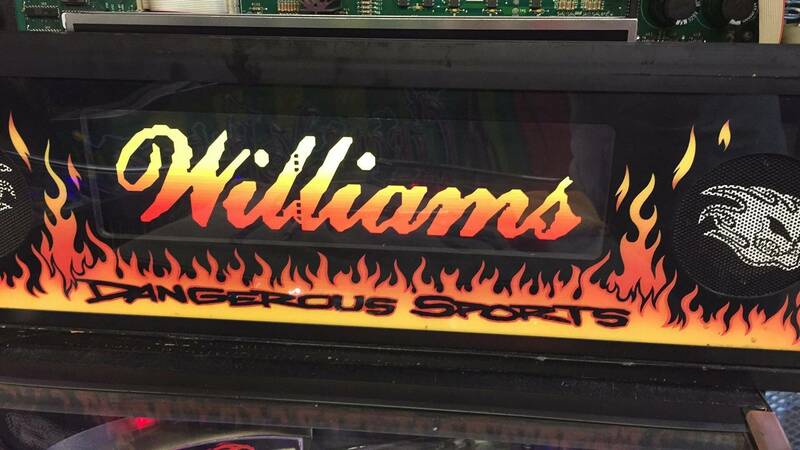 » Forum » All Pinball » All clubs (...members only!) » No Fear Club. Play better! » No Fear Club. Play better! No Fear Club. Play better! There are 384 posts in this topic. You are on page 7 of 8. Oh cleaned up the optos and the game has been acting normal since then. Thanks! Cool! Glad you got it working. Got mine a year ago, never saw the club post till now. 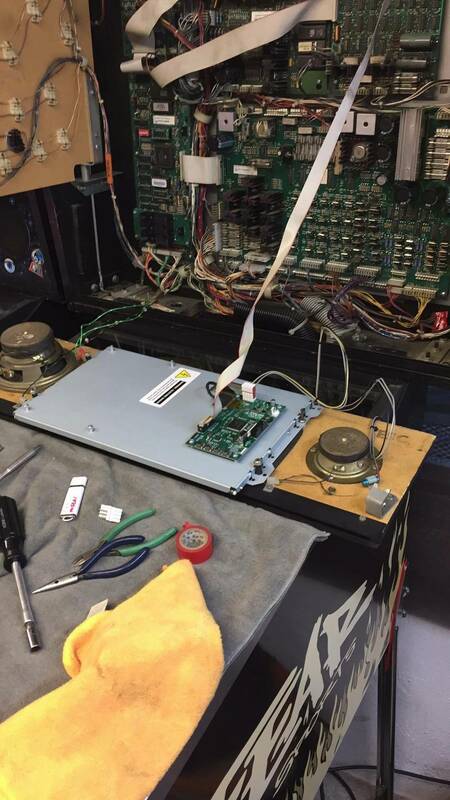 Has anyone done the ColorDMD upgrade? I want to, but have not been able to justify the $400 price tag on it to the wife. 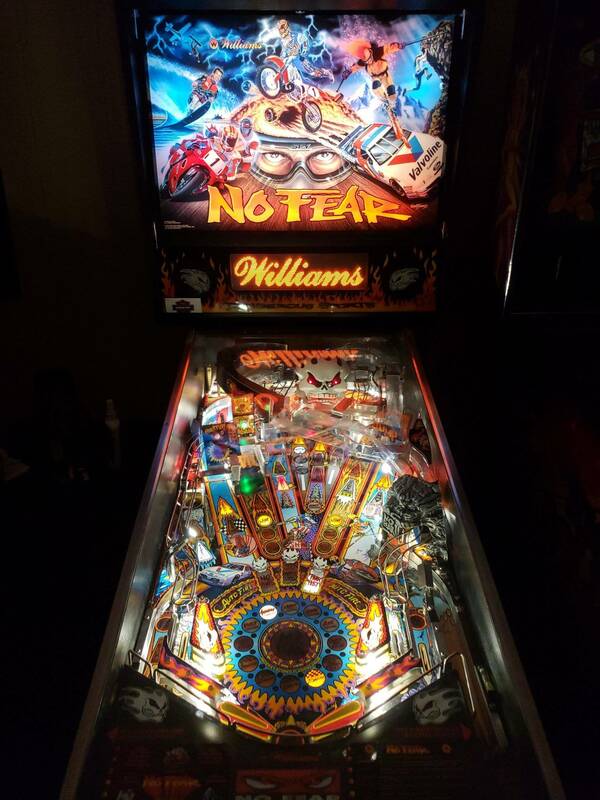 It's on my list to fit a ColorDMD by the end of the year once i have restored my No Fear. Hopefully someone fits one before then so we can see how great it looks. ColorDMD looks awesome in NF, then again it looks awesome in any machine you put one in. IMHO it's worth the 400.00 upgrade, just keep the original DMD that you remove because there are so many titles in color now that if you choose to sell NF to buy another game most likely it will have the color rom done so drop the original back in and you'll be able to drop the colordmd in the new one. LOL nah, we actually had something just happen so I might be selling off my entire collection I have to weigh my options. So I might have none with a ColorDMD soon, down from 6. Here's a link to a gameplay video that Walter Lonzen shared! Nice video wow he is a good player. So it took me a little longer to shop my NoFear. Due to the fact that as I was working on the game, (turn to reach for a tool) I ended up breaking my ankle. Which I think is ironic seeing as the game is about action sports. Feeling better so it was time to finish the shop. As I was taking the game apart I started to notice a few strange things. 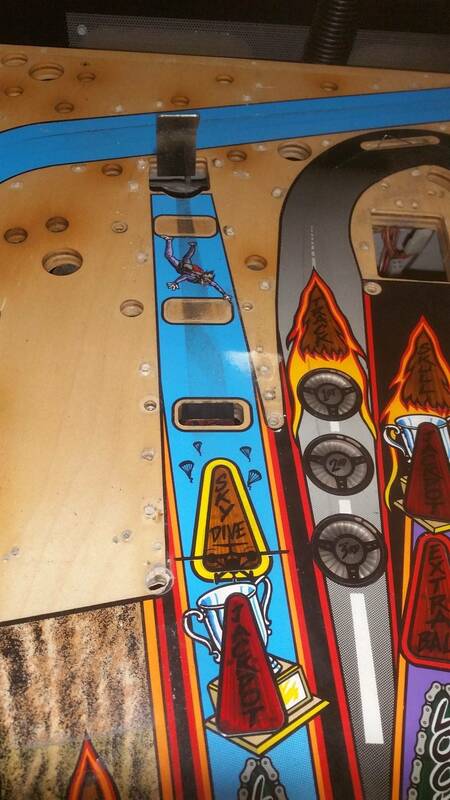 Like rough cut plastics and extra screw holes in the playfield. 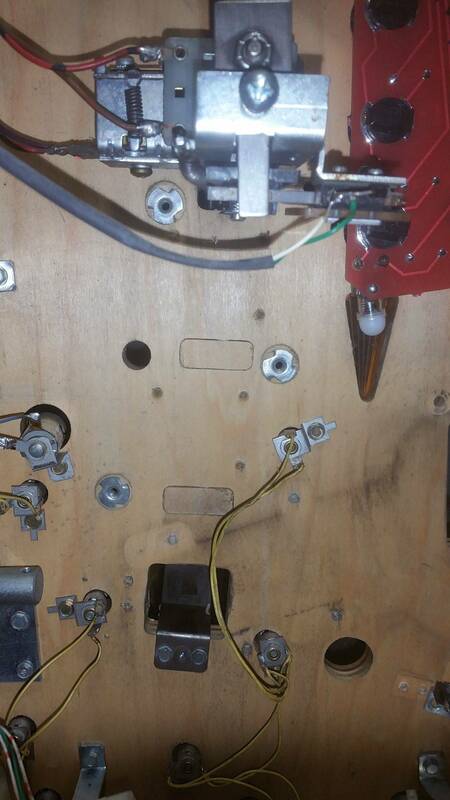 A rough cut hole for a GI socket to stick through the playfield. 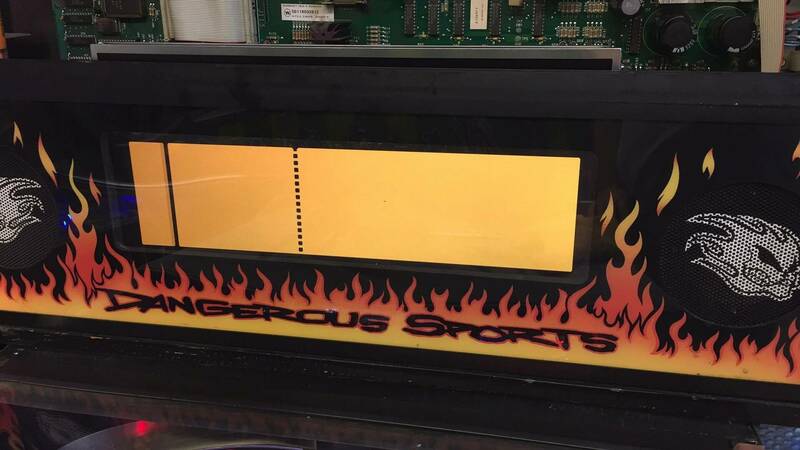 Plus red light boards along with two holes that were plugged for additional drop targets. Turns out that this game is a number 11prototype. Pretty cool I thought. I'm really trying to figure out a way to convince the wife I need to go color. No such luck yet . Forgiveness is easier to ask for than permission. Turns out that this game is a number 11prototype. Interesting to see what it would have played like with the inline drops. Probably added the staged ball when they took them out. Don;t think I'd seen that one before. As much as I would love to do that, I can't afford the child support it would require in the end. I'm going to probably have to get her a Crystal Castle before I can get away with that. I agree. You can see the three screw holes for each drop on the bottom where the did have them installed. 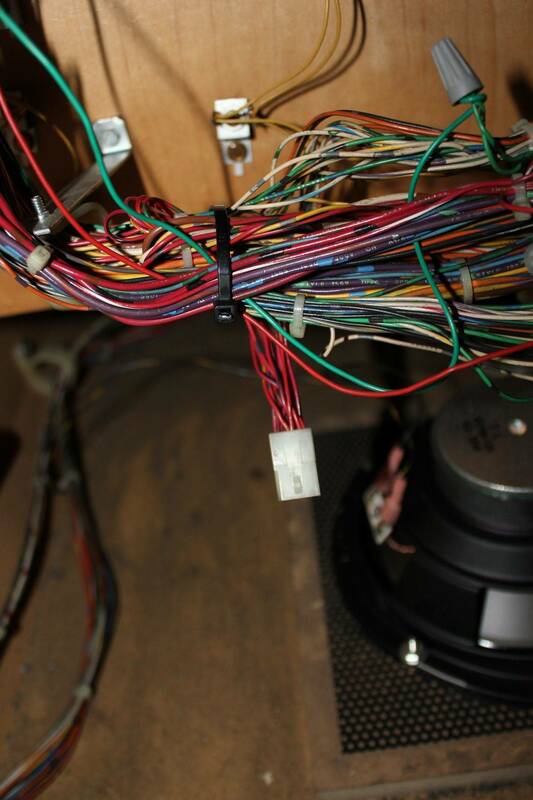 The wiring appears to still be there for them too. Although the game has 2.3 roms, I assume the roms for the drops is some early beta that'd be cool to try but hard to come by. Getting ready to do a full tear down and shop job on mine. TPF did a number on it last Spring and I have been putting this off for too long. 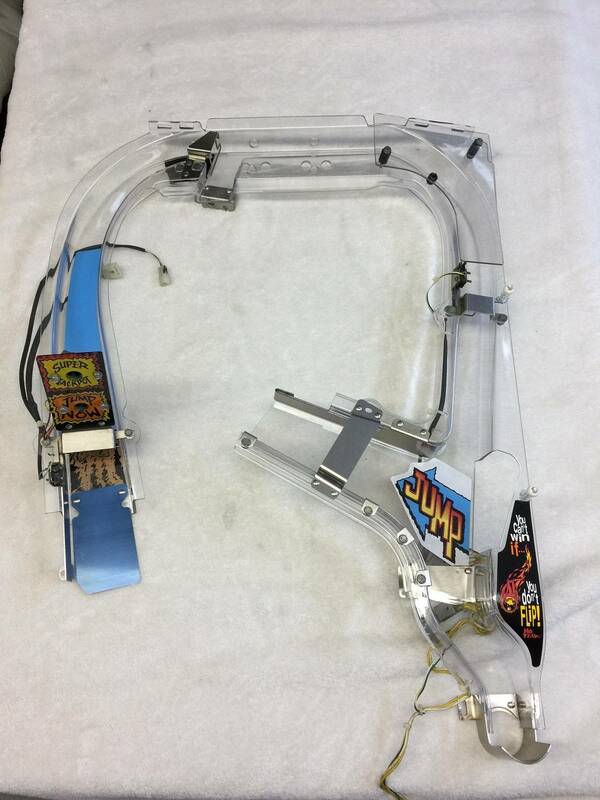 Plan on removing everything on the playfield so I can clean and wax it right as well as add mylar under the ball drop. I have a dent there after TPF. I'm also going to replace all the coil sleeves, rubber, and the third flipper bat as it was rather dirty looking when I got it. Anything I need to look out for during this? I have never attempted this level of a shop before. I plan on taking a ton of pictures and placing the hardware for each area in its own individual baggies. Also, reading through the thread, I see where Frax had quite a few issues getting his up and running. 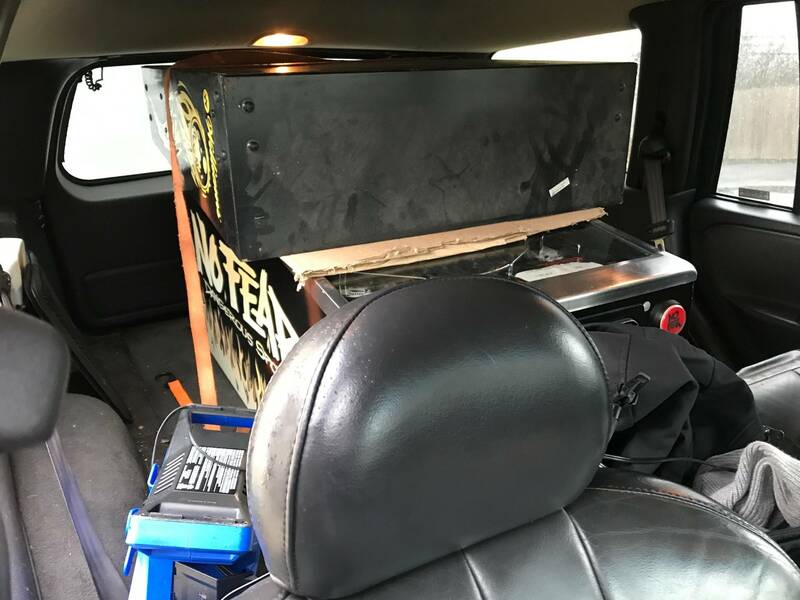 Well, his is the one I have, and I would like to say, he did a great job of getting it functioning again. What setting do you like more? This game is pretty easy to shop. Without pop bumpers and only a few rubbers to replace it's pretty straight forward. 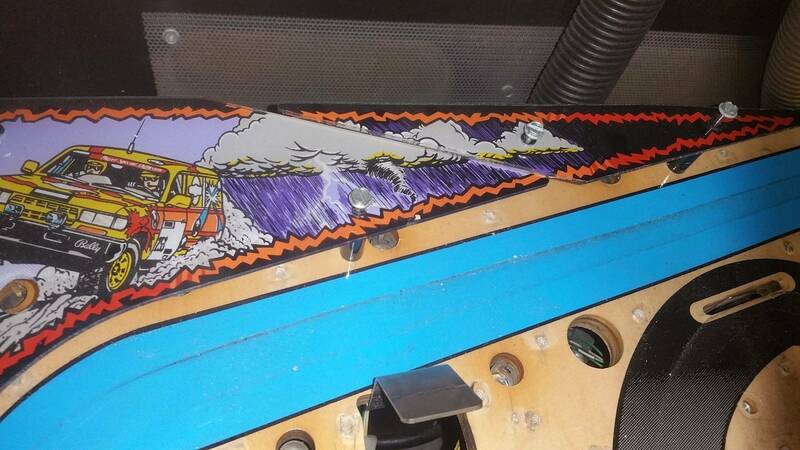 Lots of pictures and one thing that I always do is, take pictures of the posts with a scale/ruler next to them while they are still in the playfield. 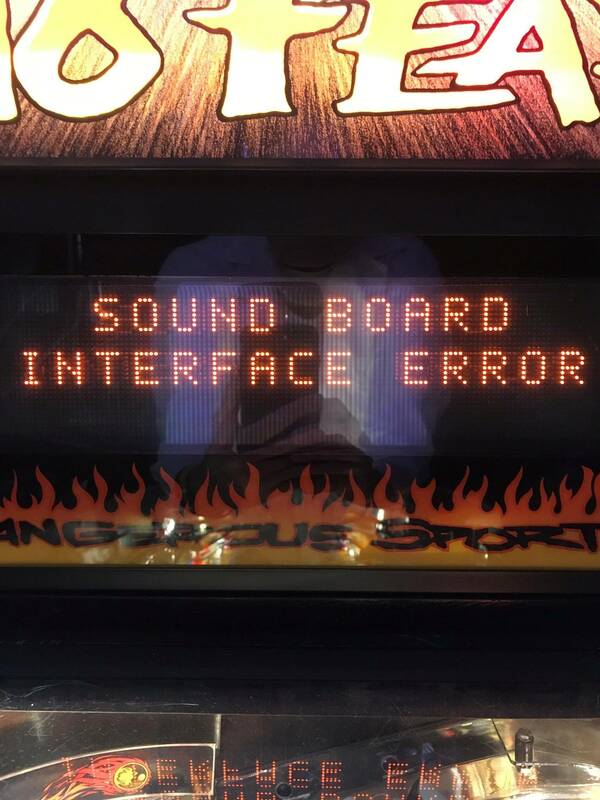 Some of the posts are close in sizes and there is nothing worse then putting a game together and finding out that the wrong post is installed and you need to remove half the ramps and whatnot to get back to that post. Good luck. 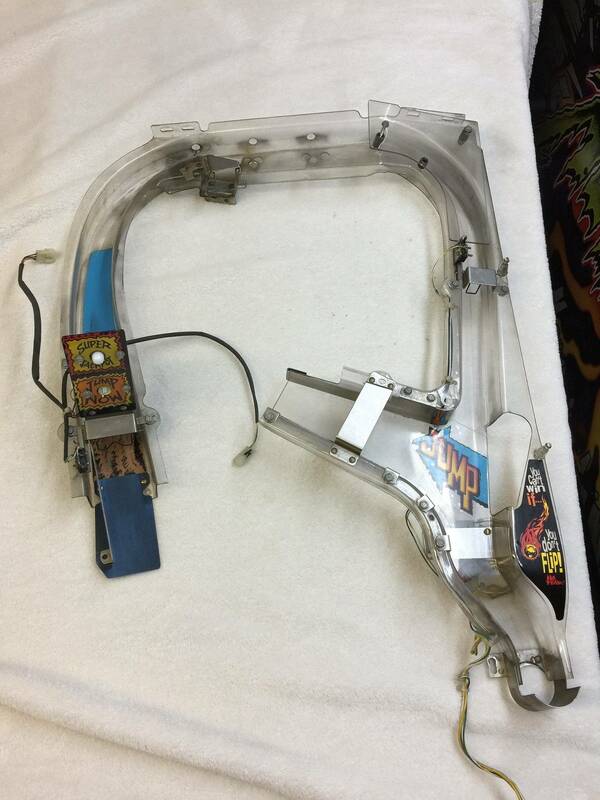 Lift the playfield and remove the switch. 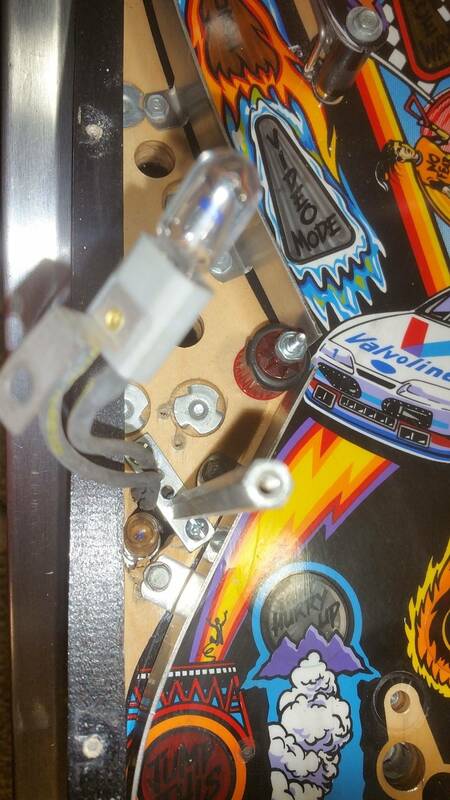 Give the wire that sticks through the playfield a bend so its not as tall. Might have to straighten the wire a bit. Then reinstall the switch. 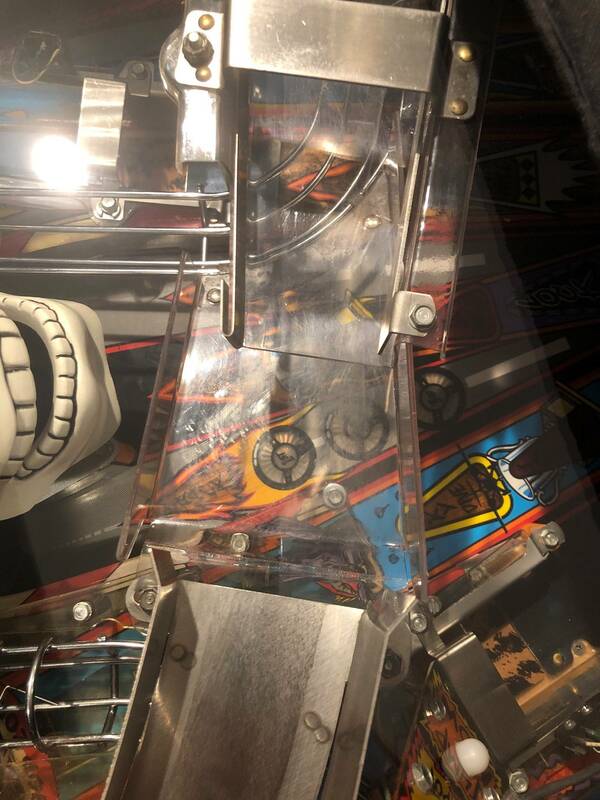 Lower playfield and go in to switch edge tests and roll ball over switch to make sure it's registering. Had not thought about the posts. Thanks for that tip. Hopefully I can get started this weekend. 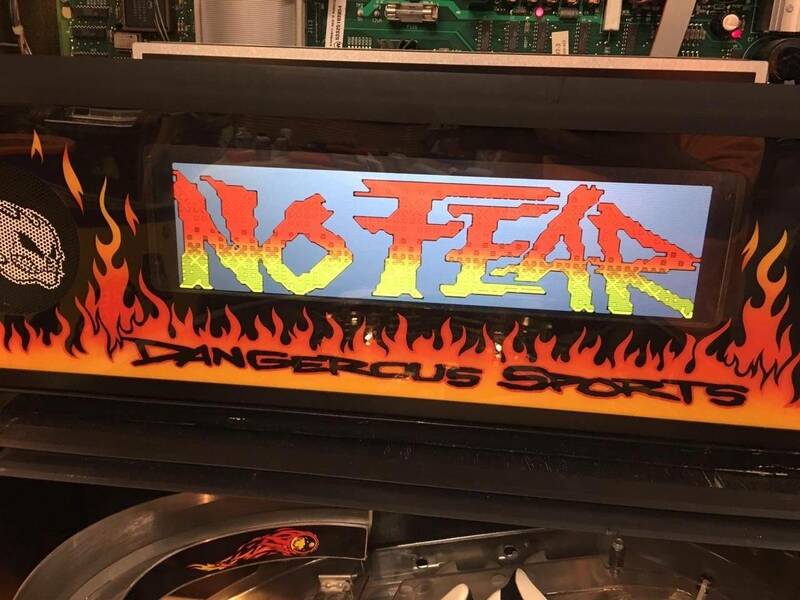 I just picked up a nice No Fear recently, and the slingshots and kicker are not firing in gameplay, pulled the glass, hit the switches, nothing. Went into test mode and tried them in the solenoid tests, and they work. Does anyone have any suggestions what I should look at next? Thanks in advance! Have you run a switch test? 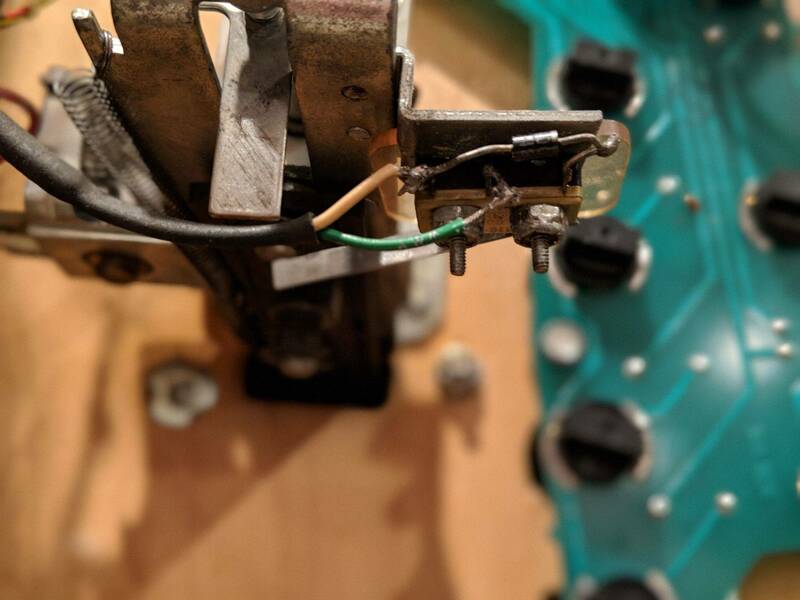 Hi, thanks for your response, I did run a switch test, 4 were not registering, did more digging, found a bad connection on the plastic wire connector J207 at the board, all fixed now, back to flippin! Glad you got it figured out. Now "Play Better!" missed out on this game for so long. picked up one last week and it's so fun. pics to come although the cab is pretty faded. The problem is when the ball hits up near the ramp where the skydiver plastic always cracks, its did not get the curve well, and loose its path and hardly or not go up in to the needed direction. Yes i know i had to change the shooting vector or do some adjustment. But here is my question. Is there a typical procedure to do this adjustment right? I will wait for any info or reply. I used trial and error of moving the metal guide rail on the right of the shooter lane to send it in the correct place. If you remove the plastic to the right of that rail, you will see the screw hole near the top that enables adjustment. Good luck! I've also had my auto kicker come loose and create problems. Might be worth checking and tightening as well in additino to what setzkor said. I just got a NF that needs some healing. 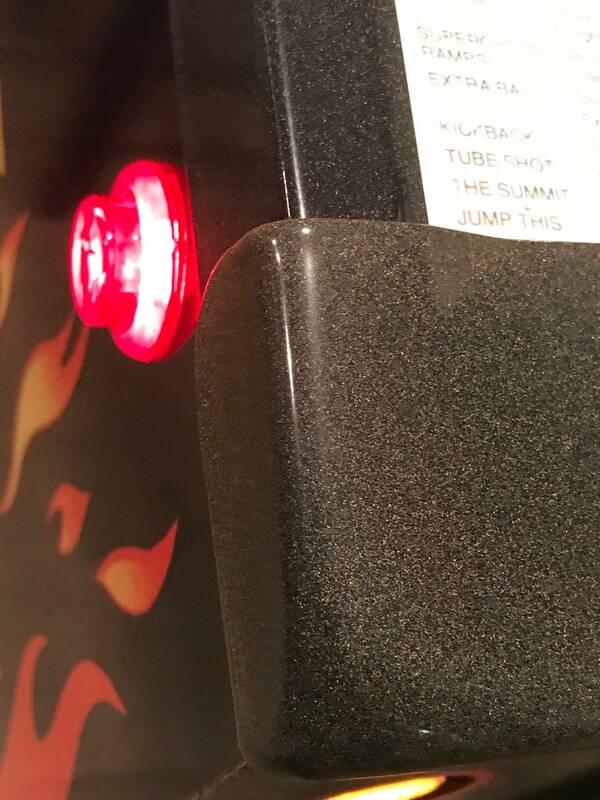 The switch for the drop target is not wired. 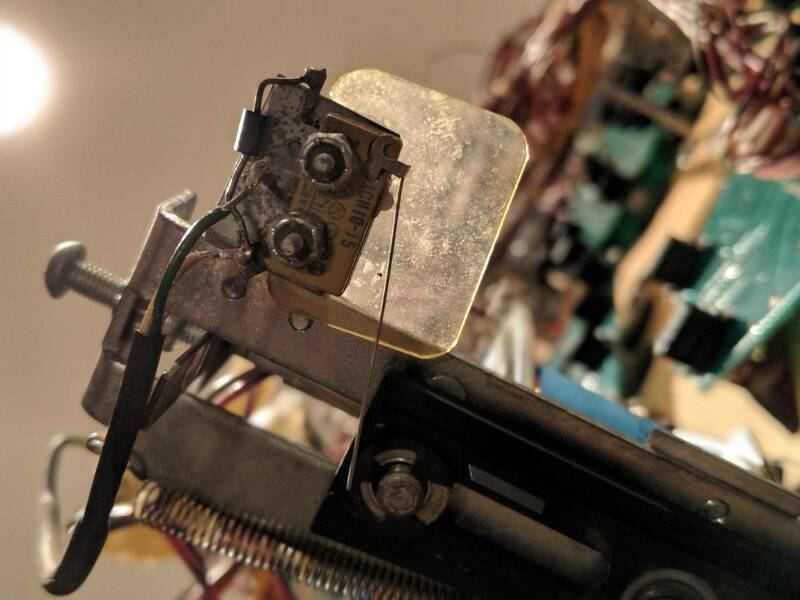 Would one of you fine chaps be kind enough to take a picture of how the switch for the drop target is supposed to be wired? Also, it came with a DB3 switch and a DB5. The 3 is rated at .1A and the 5 is 1A. Which is best for the drop target? What LEDs did you use? So... Is anyone able to help me with my previous question? Kyle I won't be able to get to mine for a few days but next time I'm at that location I will. I use Comet 5050 non ghosting natural white with frosted domes for GI. Inserts I use the same LED, but with clear domes. If the inserts are to bright I'll change them to frosted domes. I know its a little more to buy these particular LED's, but to me they look the best. Yes, now I know how to wire the switch. Thanks! Now, I just need to know which switch to use. The DB3 .1A or the DB5 1A. Happy to be part of the NF Club!! I am refurbishing a unit right now and need a TON of parts.. Can't find a Translite or Apron ANYWHERE... 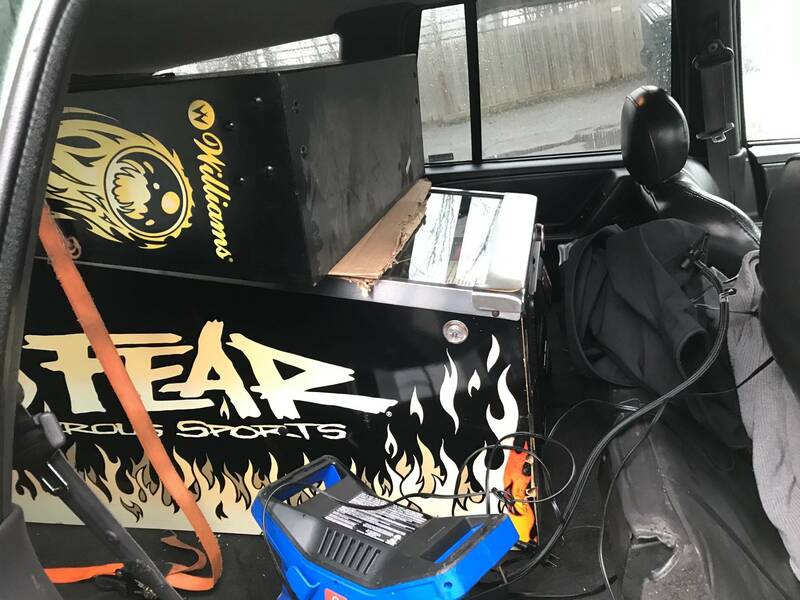 I may need other extras that you may have.. Hit me up and help me get this thing running!!! You can find apron and another parts if you need. 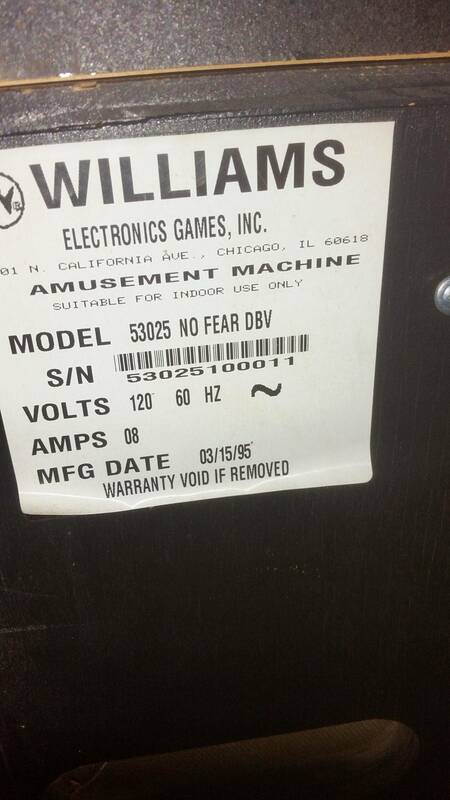 Does anyone know where this plugs into? 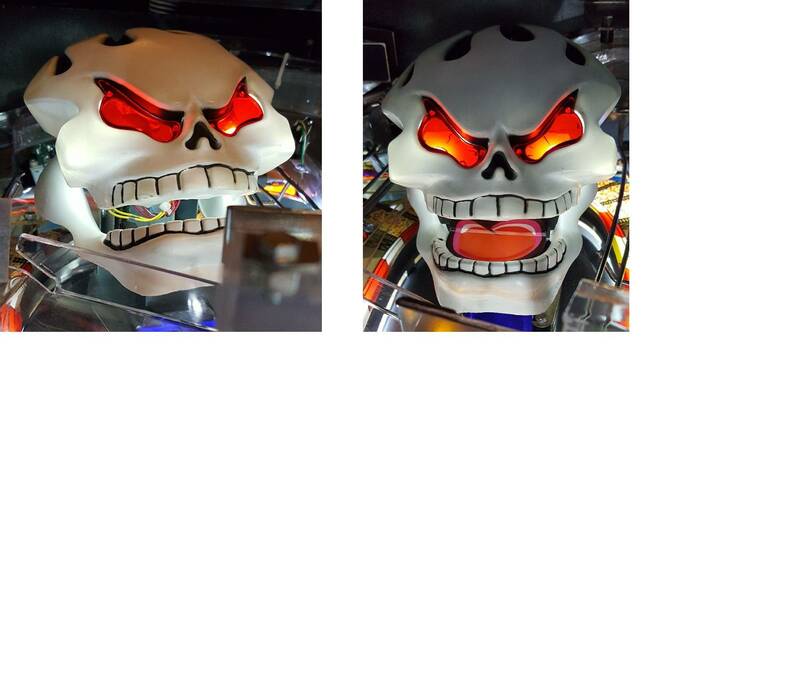 Everything in the game seems to work 100% besides the skull moving his mouth. 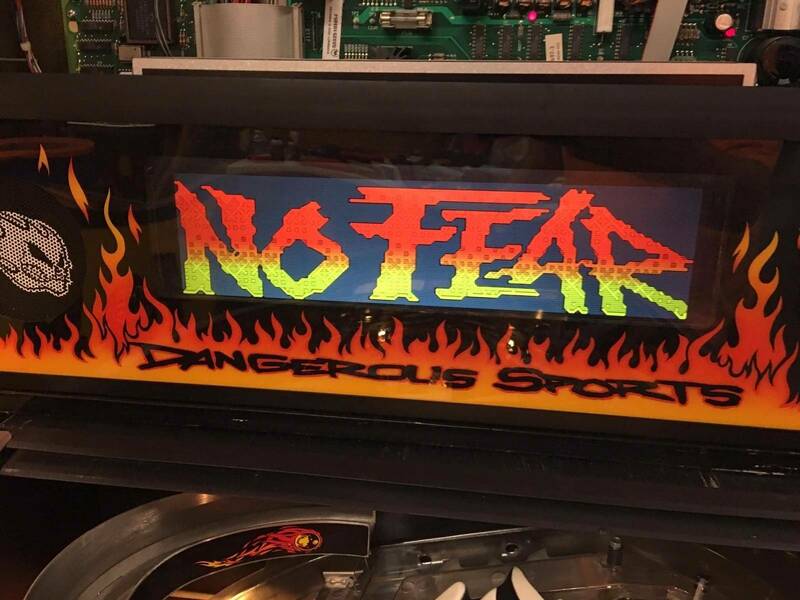 No Fear fans !!! 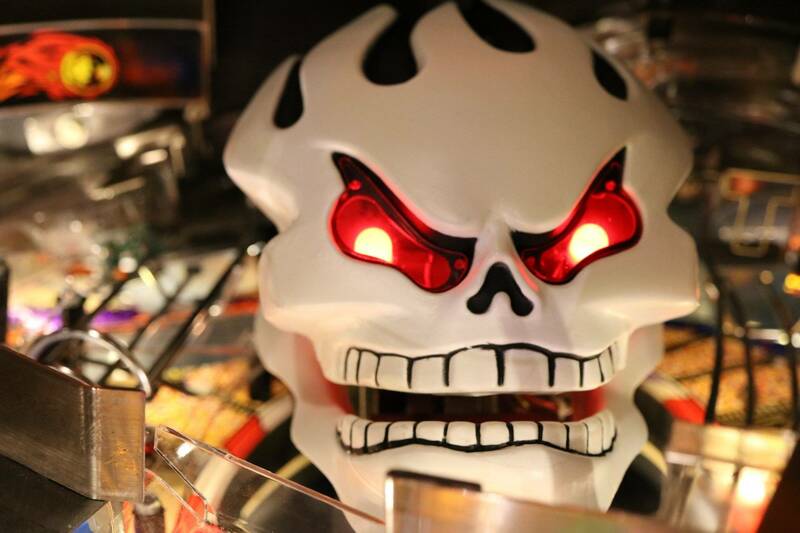 I am working on a mod for Bonehead....let me know what you think! I was tired of seeing wires etc. 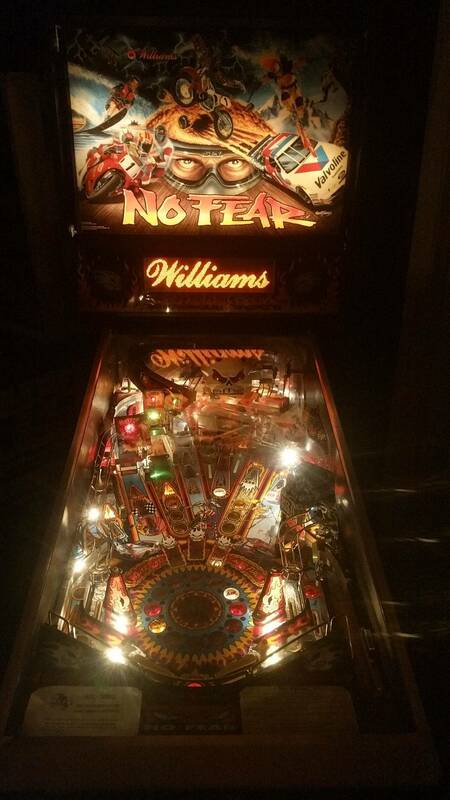 I would be in for a toung for my no fear. Can you share the graphic file with us? The left magnet would catch/hold the ball sometimes, with audible buzzing. The game would have to time out before the ball was released. Short while later, the machine would fail a start up test, complaining about the left magnet specifically. 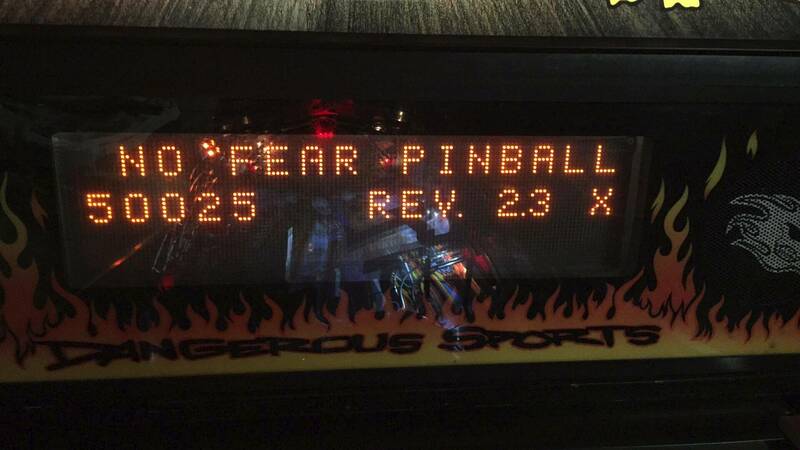 Not knowing anything about pinball machines, I went through the menu a few times, playing with settings and tests. Doubt I did anything, but the machine got past the start up test, although the catch/hold/buzz continued. Then the plunger stopped working. Further testing, all solenoids failed. Checked fuses, F103 was blown and replaced it with the correct 3A SB fuse. Everything was working again!... but it was short lived. 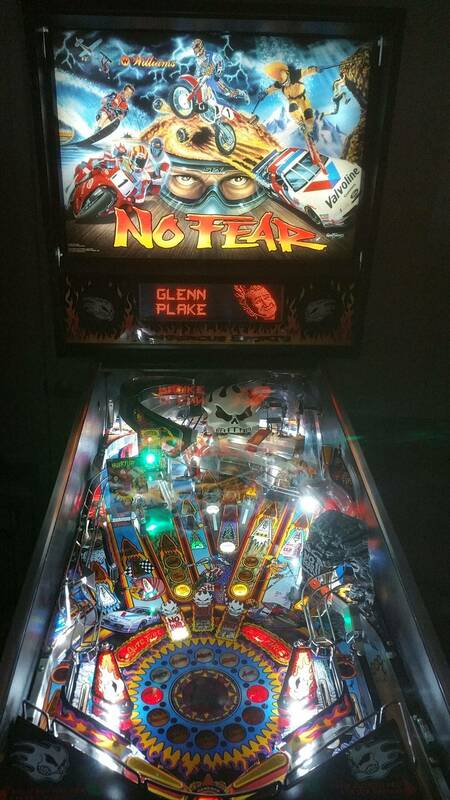 A day later, the machine was on (sitting idle) and I heard a loud 3-5 second buzz while in the other room. Yep, plunger doesn't work again. Since that was my last 3A SB, I didn't bother opening it up, but assume that F103 is blown again. 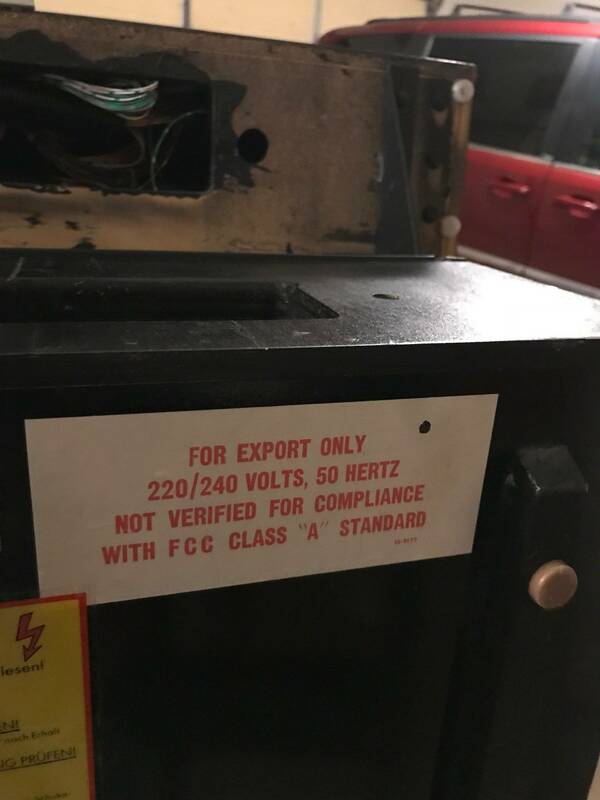 What can I check for while waiting for more fuses? I think part on, the sticking magnets/ on to long. 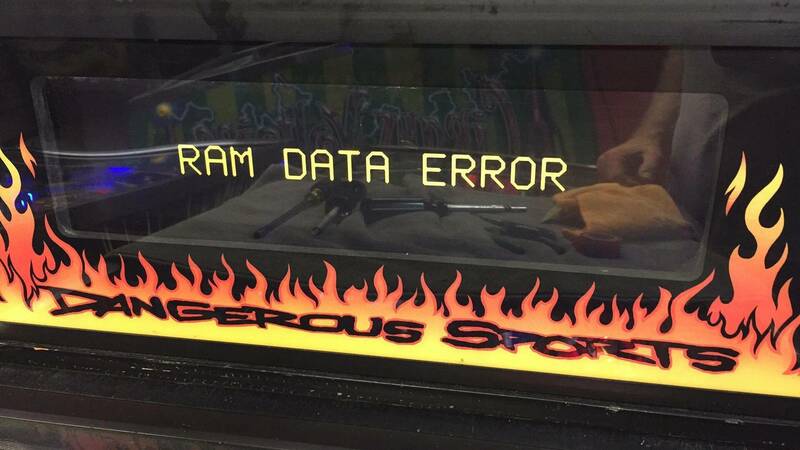 Check your software version when you first turn it on. Newest software is about 14 eBay, from Canada. 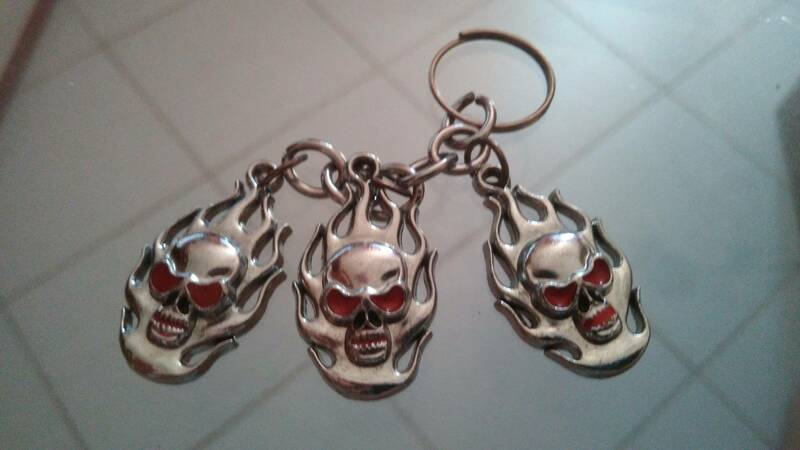 Also I would test those magnets with an ohm meter. They should all 3 test the same. I am guessing 5 ohms. Any lower than 4 probably shorted bad magnet, any higher than 12 ohms probably bad. Marcos sells them. The buzz noise that electromagnet is just loose. Welcome to the club!